General Power of Attorney – Attach the POA to the tax return. File form 2848. Both spouses must sign this. Statement signed by the taxpayer authorizing the third party to sign the return for him/her. If it is not possible for a spouse to obtain the signature of the service member serving in a combat zone on the tax return, power of attorney or other authorization form, the IRS will accept a written statement explaining that the husband or wife is serving in a combat zone or contingency operation. The spouse must attach the explanation to the tax return. A tax preparer may efile a return for the service member using a PIN. The tax preparer must get the service member's signature on Form 8879. Refunds can be direct deposited to your bank account. If you have a balance due you may: 1) defer it according to the rules above; 2) pay it by mail with form 1040V or by credit card over the telephone; 3) pay it through the Internet. For Internet service you must register with the EFTPS system. You can find out how to do this at the IRS website: www.irs.gov Look for EFTPS registration information. You then authorize the amount of payment and the date for it to be drafted from your bank account. There is no charge for this service. Note: I have been using it for business clients for years and it really works well. Jones Accounting can email you an e-organizer for you to complete. You fill it out and email it back to us. We can prepare the return and email you a copy. You may pay our fee by credit card. For additional information see IRS website for combat zone information. When the service member is serving outside the US on April 15th, there is an automatic extension until June 15th without filing any forms. When a service member is outside the USA on April 15th and serving in a combat zone an automatic extension is provided for up to 180 days from the date you leave the combat zone. No form is required to be filed to get the extension. When the 1040 is filed it must be noted on the top of the form that it is late due to active service in a combat zone. All taxpayers may apply for a 6 months extension by filing Form 4868. We can e-file this extension for you. If you are still unable to file by August 15th you must obtain the written approval of the IRS for a 3-month extension. This is not automatic and you must have a good reason for not filing. Interest and penalties accrue from 4/15 unless you qualify for a deferment. 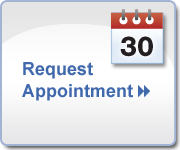 Call today 360-675-3030 to setup schedule an appointment or request an appointment online - either way, we can get you started!